It's easy when planning a shop trip to London to just head straight to the main areas of Oxford Street and Regent Street and spend your day browsing round the same high street and department stores you're likely to find in any other city in the UK. At KNOMI we're encouraging you to take to the side streets and uncover the hidden gems that make London one of the most fashionable cities in the world. 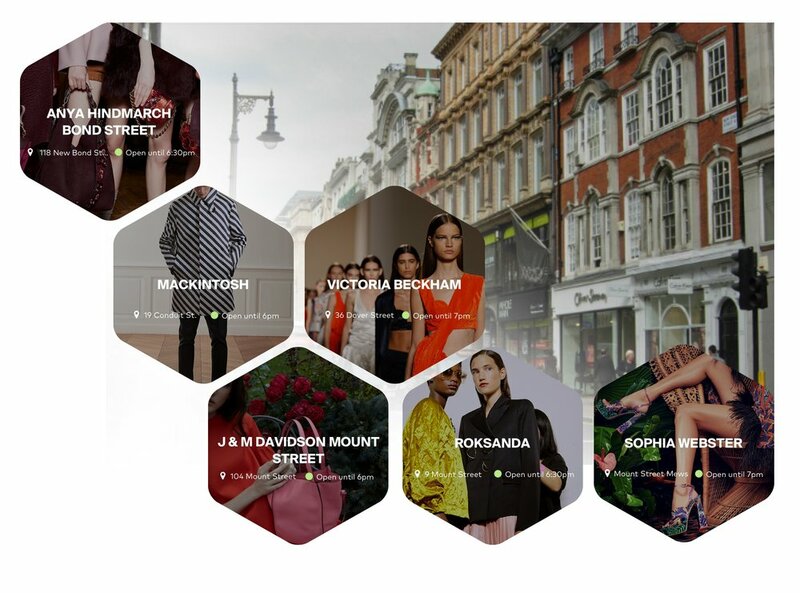 We've split our London shopping guide within the KNOMI app into bitesize shopping districts, perfect for an afternoon of perusing beautiful boutiques. Take a look at the most popular shopping areas in London below, then download KNOMI to view our shopping guide in full. Exclusivity reigns in these two neighbourhoods, making it an epicentre of inimitable style. Its edifices are home to famous department stores like Harvey Nichols and couture fashion houses like Gucci and Louis Vuitton. Bounded by iconic Hyde Park on the west and trendy Soho to the east, this neighbourhood steeped in sophistication is where you'll find luxury boutiques, decadent restaurants, impressive buildings and clean streets, making Mayfair a sought after destination for shopping sprees or evening strolls. Shoreditch is edgy from top to bottom. Every wall hosts a mural and old brick warehouses have been transformed into art galleries, design studios and hipster, independent coffee shops. From Scandinavian style concept stores to Japanese menswear brands, treasures aren’t in short supply in this neighbourhood. Despite its central London location, Marylebone’s high-end boutiques, intimate bookstores and family-owned patisseries give this neighbourhood a cozy, village vibe, making it a pleasure to stroll around. The perfect destination to discover the most fabulous, hand-crafted accessories to finish your look. There's a reason why so many films are set in Notting Hill. Its streets weave through cobbled alleyways, Victorian townhouses and stylish shops, conveying a chic, easygoing lifestyle. London’s original antique vendors and the Instagram-worthy pastel streetscapes on famed Portobello Road are guaranteed to satiate any design-driven appetite. Soho is an eclectic district, famed for its mix of trendy shops and fashionable galleries. Vintage boutiques, all-night coffee shops and hip bars welcome the buzz of this 24-hour neighbourhood. Down every cobbled side-street you’ll be sure to find independent boutiques housing London’s best up-and-coming designers.